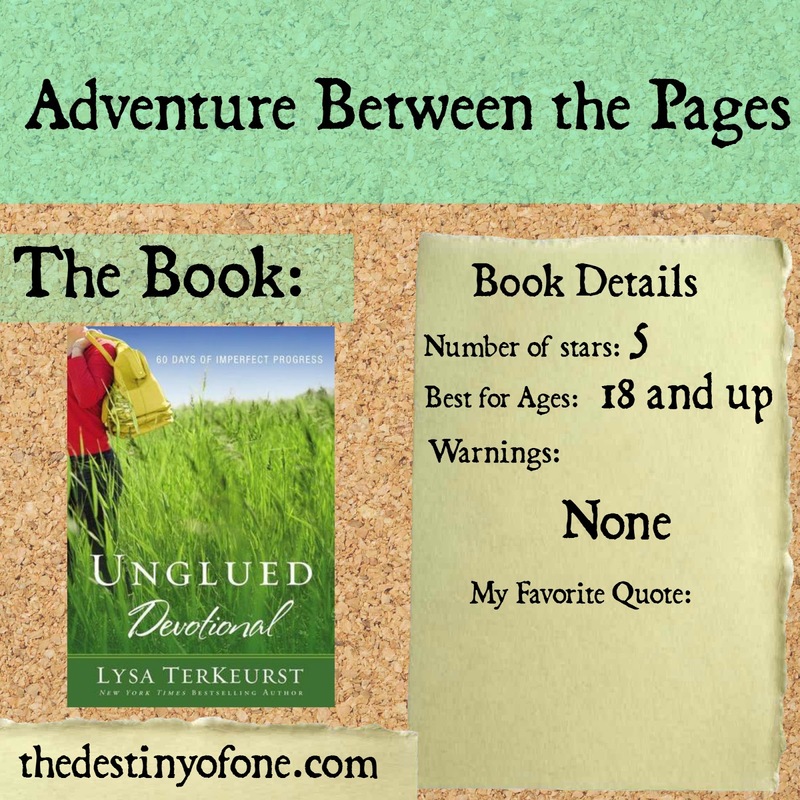 Book Description: This companion devotional to the bestselling book Unglued provides encouragement to help readers handle emotional struggles. Including a daily opening Scripture, Thought for the Day, devotion, and closing prayer, this book helps readers begin a 60-day journey in learning to positively process raw emotions, such as fear, anger, and regret. God has perfect timing. I was going through a rough time and it seemed that every time I opened this devotional, the words seemed to be written for me on that day. Whatever I was going through, there seemed to be a message in the pages for me. Praise God from whom all blessings flow. Although I have not read the book Unglued from which this devotional originates, I am enjoying the devotional. Lysa is so real and shares her heart through her ups and downs. Unlike many authors who only share their success stories, Lysa shares about her failures. It is so nice to read about another person who doesn’t have it all together but is striving to live for God. The devotionals are the perfect size. Just long enough to really sink in, yet short enough you can read one before you dash off to work at 6:00 in the morning (like I have been doing). Each one starts out with a verse and a few words that often will stick with me for the day. I highly recommend this devotional to moms, wives, and singles who need a good start for their day and struggle with coming unglued from time to time.